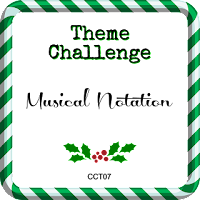 The current Christmas Card Throwdown challenge is a theme - musical notation. After returning from our FUN vacation last weekend, I was ready for some crafty time. However, I only had three days at home before I headed out for the retreat I'm currently enjoying, so I created some quick and simple cards. 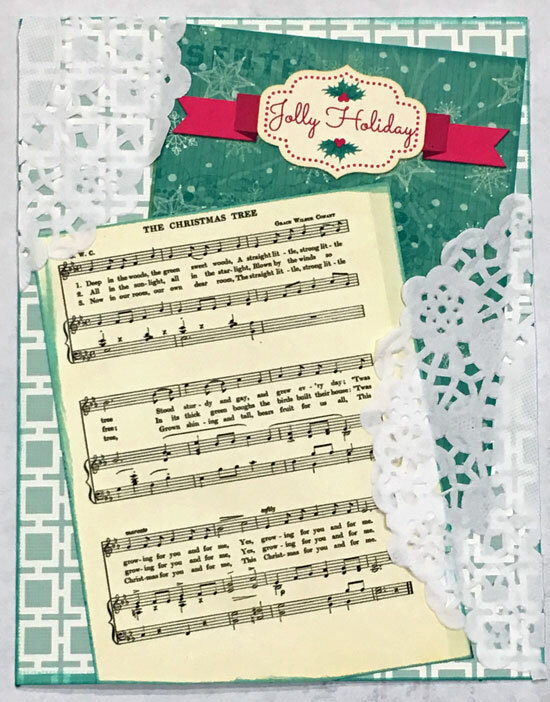 I ended up creating four cards using papers from the BoBunny Candy Cane Lane and Photo Play Luke 2 collections, along with card bases and scraps from my stash. 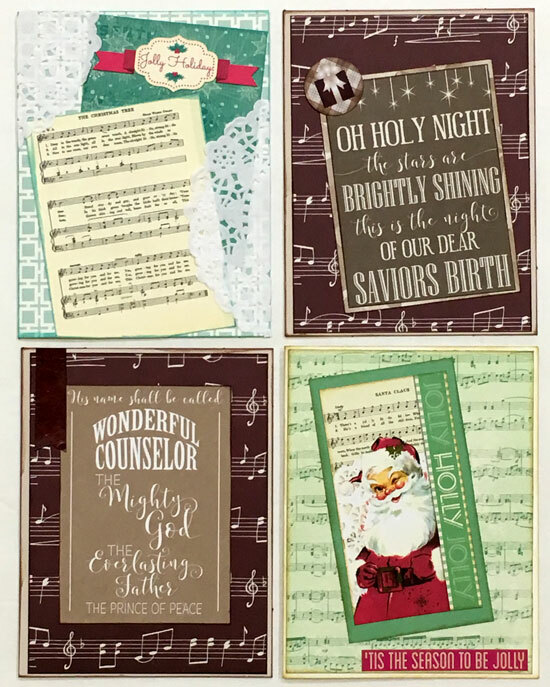 I'm so happy to add these four cards to my growing collection of Christmas cards - Fa la la la la la la la la! Hope the retreat is all you hoped it would be! Hard for me to think about Christmas cards this early! It's such a grey day here that a little Christmas cheer is just what I need! Lovely! You've made a great collection of cards and it's a good idea to make several along the same theme while your mind is whirring. Oh wow - I think your cards are all just fab and you're adding to your stash really well! Love the vintage feel of them all. 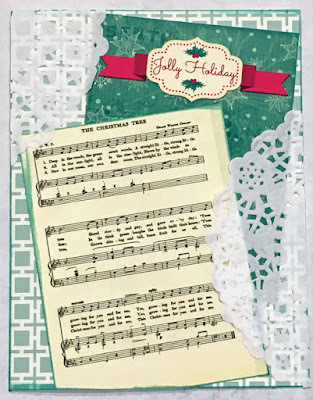 Thanks so much for playing along with Christmas Card Throwdown this week! Deborah, DT. Wow, what a great collection of cards. I love how simple, and yet striking they are. Great job using up those stash scraps. Thank you for joining us at Christmas Card Throwdown! Wow all four cards are wonderful. My favorite is the second one. Well done.